The "New European Regiment" saw its first light in the year 2003. We originated as a single Medal of Honor clan with players from all around the world. Today we are playing DayZ, H1Z1, The Division, Battlefield4, World of Tanks, Blade and Soul and CS:GO. It will be open till the 22nd of January. If you get one, join us at TS we already have a channel there. It's with great pleasure we announce the reactivation of [NER] New European Regiment Clan. After several years of inactivity, where only the TS was active and few people on it, an old group of NER members decided to put the clan up again. The Blade and Soul Division has around 30 members in its guild, and they will be participating at ESL in a near future. 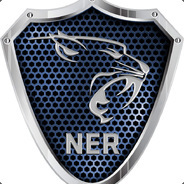 NER Blade and Soul has already streaming members you can watch live here and follow, supporting them,the clan and help to grow this NER game division. If you would like to join us in this division, register at our website and join us on TS for some fun. The [NER] CS:GO team was recently formed by a team with portuguese players,that will be participating Tournments and ESL in a near future. But [NER] is not all about competition. We are an old and experienced clan, where companionship and union is always privileged, making us a family. If you are interested in joining our community, join us on Team Speak ( ip ) and play with us in the several games we have available. Just have fun and relax.